Two of the most significant developments in psychotherapy in the last 10 years have been the emergence of mindfulness and the impact of the latest advances in neuroscience. Mindfulness is now an essential aspect of many accepted therapeutic modalities. Moreover, the latest developments in neuroscience and brain plasticity have lead to revolutionary work in the application of mindfulness in the treatment of anxiety, depression, emotional dysregulation, anger, stress and other mental health issues. 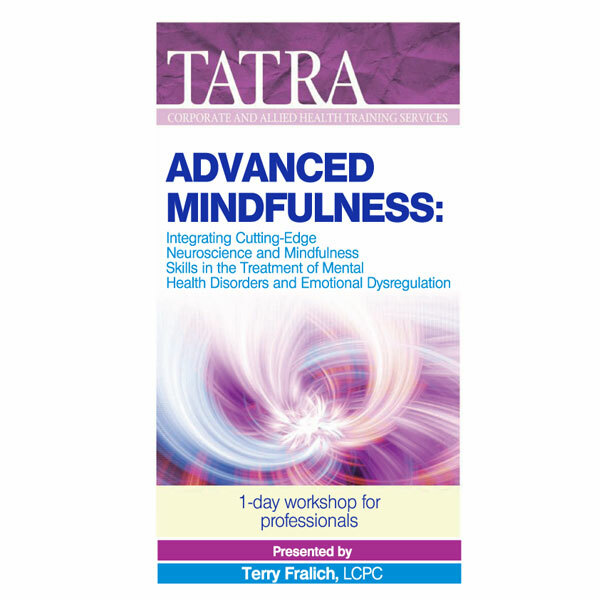 In this seminar, we will explore an integrated approach that incorporates the latest advances in neuroscience and accessible mindfulness skills that produce healthy change. We will delve deeper into mindfulness as a foundation nurturing awareness in yourself and your clients. You will learn practical insights, language and techniques that will strengthen your professional confidence and effectiveness. The seminar is designed to provide you with an enhanced experiential sense of mindfulness, as well as specific tools you can use right away in working with a broad range of clients. Take home cutting-edge information on the interface between neuroscience and therapy. Delve deeper into mindfulness as a foundation for nurturing awareness in yourself and your clients. Explore the exciting advances in neuroscience that are revolutionizing therapy Utilize the convergence of neuroscience and mindfulness to accelerate client change Learn mindfulness techniques and practices that are supported by the new neuroscience Understand implicit, emotional hijackings and the brain’s alarm system and their application to therapy Strengthen your own mindfulness as a foundation for therapeutic presence Experience practices that will re-energize you and increase your effectiveness with clients.